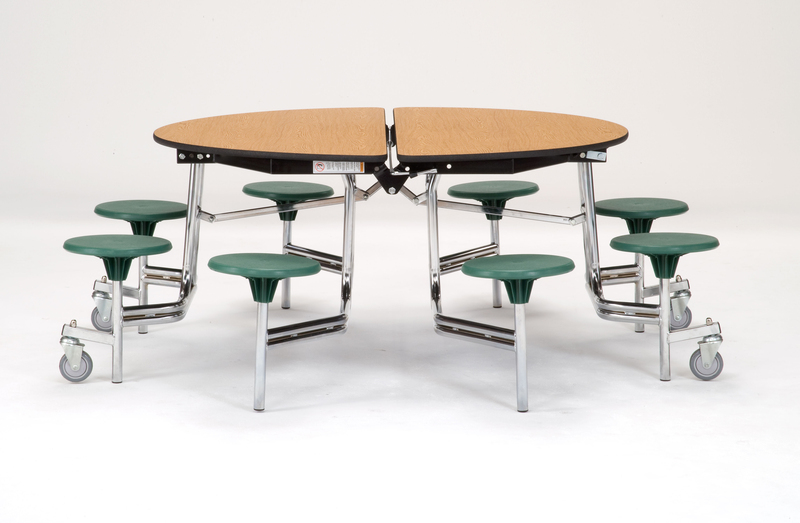 Mobile Stool Units from National Public Seating® are the perfect solution when more personal space per table is needed. 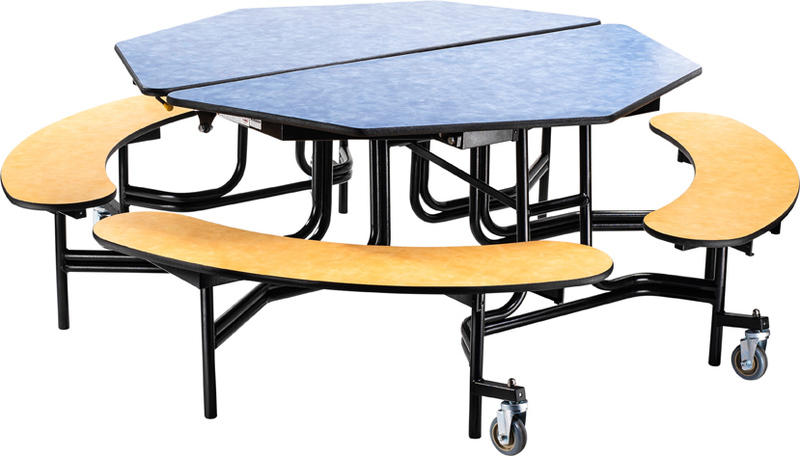 Built on a solid 14-gauge steel frame, tabletops are protected with a high pressure laminate top and a phenolic backer sheet making them power washable. Unobstructed entrances for each stool add safety by eliminating trip points on entry/exit. Specialty hardware holds the high-impact stools securely to the frame. Storage latch release handles are easily accessible from both sides of the table without having to reach in. The storage latch automatically locks when folded for safety. 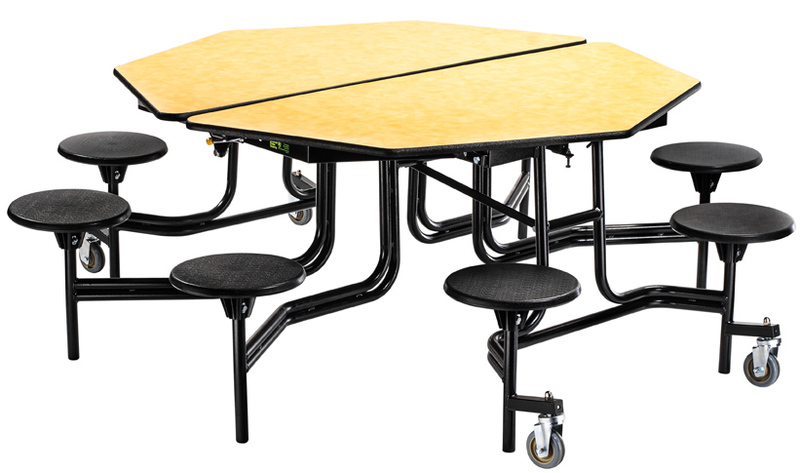 Tables operate smoothly and safely thanks to the NPS EasyLift torsion bar system. The self-leveling automatic down lock engages at a partially opened position for safe, easy cleaning and again at the fully opened position. 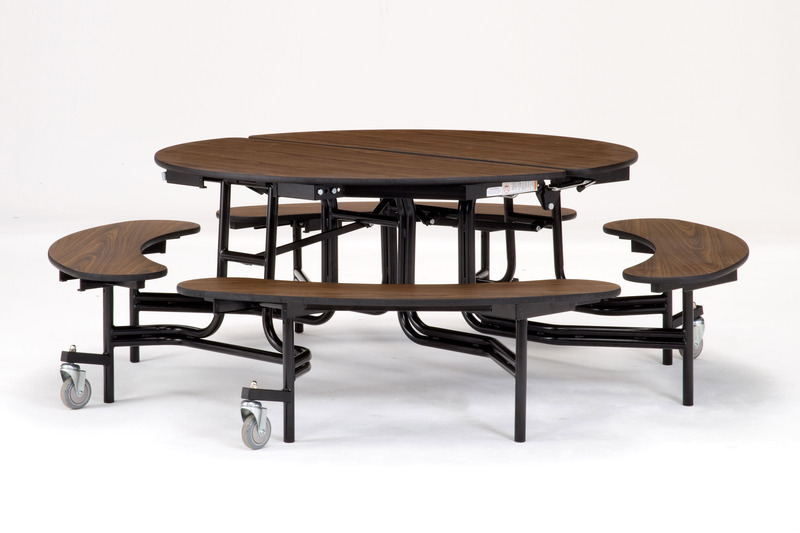 Our caster lift-off safety feature prevents the tables from rolling while in use. Available in a variety of shapes, wood cores, color finishes, edge protections and frames. No Need to Reach In! Storage Latch Release Handles on Both Sides of Table to Unlock. Locks Automatically When Folded.